Our team of expert and professional movers help you leave moving stress behind. We will provide you with a free estimate with a detailed list of services which include wrapping and padding equipment, lifting and loading equipment, boxing and labeling. Put heavy items, like books, in small boxes; light items, like linens and pillows, in bigger ones. (Large boxes packed with heavy items are a common complaint of professional movers. They not only make the job harder but also have a better chance of breaking. Put heavier items on the bottoms of boxes, lighter items on top. Don’t leave empty spaces in the boxes. It will make your packing quicker and your unpacking a lot easier, too. This will help Hills Moving to know where every box belongs in your new place. As you pack your dishes, put packing paper around each one, then wrap bundles of five or six together with more paper. Pack dishes on their sides, never flat. And use plenty of bunched-up paper as padding above and below. Cups and bowls can be placed inside one another, with paper in between, and wrapped three or four in a bundle. Pack them all in dish-barrel boxes. Plan to start packing several weeks before your move. This will give you plenty of time to get things organized at your own pace, thus eliminating stress. Clean out your closets and storage rooms before you begin packing, that way you can pack more quickly when the time comes. Instead of interrupting the process to throw things away, you can focus on organizing how you want to pack your items. Get rid of the things you don’t really want or need. Take this move as an opportunity to start fresh! Eliminating clutter will not only give you more space in your new home, it will reduce the amount of things that need to be packed and transported. Don’t just dump everything you can into the fewest boxes possible. Keeping the weight of each box manageable will make the moving process safer and easier. Remember to place heavy, sturdy items on the bottom, and delicate, light items on the top. Provide enough padding and wrapping around objects to keep them safe from breaks and scratches. Wrap very small items in colored paper or tissue so that you can easily notice them. It’s always unfortunate when something is accidentally thrown away because it just looked like a crumpled ball of packing newspaper! Don’t use furniture polish before packing. The padding from packing materials may leave permanent imprints on the surface. Clean big items like TV’s, refrigerators, and other appliances before loading them into the moving truck. Dust and grease on the surfaces can make them hard to grab and keep a hold of. 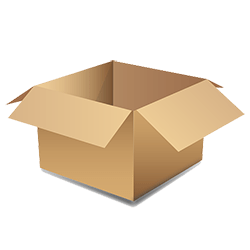 Try to pack items from the same room in the same set of boxes. Make sure you clearly label boxes according to what room they should go to in your new home. Pack an “essentials” box that is loaded last into the truck, and unloaded first. This should contain important items like a blanket, bottled water, batteries, a flashlight, etc. Don’t pack your most important documents and belongings in boxes that go into the moving truck. Keep them with you in your car to make sure you have access to them at all times. This goes for ID’s, passports, birth certificates, jewelry, etc. If you have children, pack a bag that contains a few of their favorite toys, books, and snacks. Keep it with you in the car, and take it out once you arrive at your new home so that your kids can keep themselves occupied and happy while you’re unpacking. 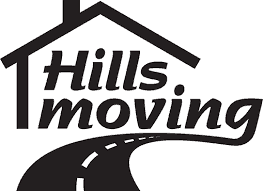 Hills Moving has been providing excellent services to individuals, families, and companies for more than 13 years. We continue to be one of the top-knotch moving companies in the area by specializing in high-quality, affordable moves with excellent customer service. At Hills Moving Inc., we provide the best services, fair prices and quality customer service for every move. As highly trained and professional movers, we strive to make each move easy and stress-free. We take pride in our work, and make sure all belongings arrive safely and securely to their destination. Serving Durham Region, Toronto & Surrounding Areas.